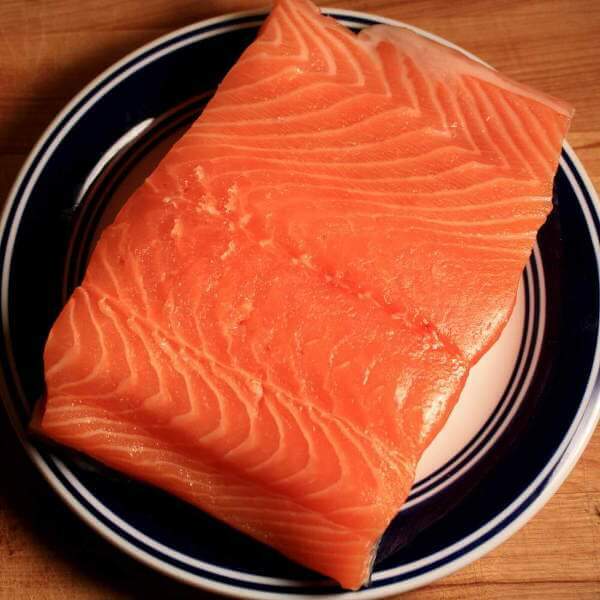 I have 2 1/4 pounds of salmon, the best I could find, about 3/4 to 1 inch in thickness. I'm using a basic brine with kosher salt, brown sugar, and water. But how long should I actually brine the salmon? No website seems to come out and just say it... "Brine for 2 hours" or "Brine it for 5 days"... I have no idea. Brian D.. Re-read my post, I addressed these details. Brine recipe. How long to brine the salmon. How long to smoke the fish. Size of the fish. I even explained how important the "pellicle" is, and how to achieve it. Short of someone coming to your house and smoking your fish for you...I don't know what else you're looking for?! My brine is 2 C pickling salt 4 C brown sugar to 12 C water, any other spice is optional. Shortest brine time for me is 7-8 hrs, 14 hrs max. So anywhere in that range is fine. Today things came up so I won't be taking my fish out until tomorrow 36 hrs. This will be my longest brine ever. I smoke at least 10-12 hrs. Winter time as long as 16 or more, due to outside temp. I have been a commercial fisherman's daughter for 34 years and am 1/2 blood Native American. I've spent the last 2 hours going through this site to gain as much knowledge as possible. It sounds to me that the brine is basic and you can add what else your taste buds desire. Remember to keep notes of times and amounts for your next batch of salmon. 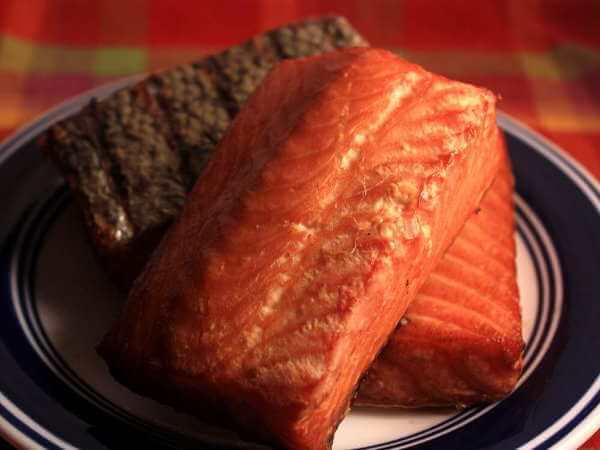 The smoking times depends on the thickness of your salmon fillet. I did take notice of the tip to: Puncture the salmon skin before brining so that the brine with seep into your salmon. I can't wait to try out our Little Chief Smoker. I can't believe this will be my first time smoking or even cooking salmon. Wish me luck. My brine consists of 8 cups of water, 1 cup of Demerara brown sugar, 2/3 cup coarse salt. I soak my fish in the brine for 24 hours, then let dry long enough to form what's known as the pellicle. The fish once dry, will be sticky to the touch. The pellicle (sticky surface) is what the smoke adheres to. 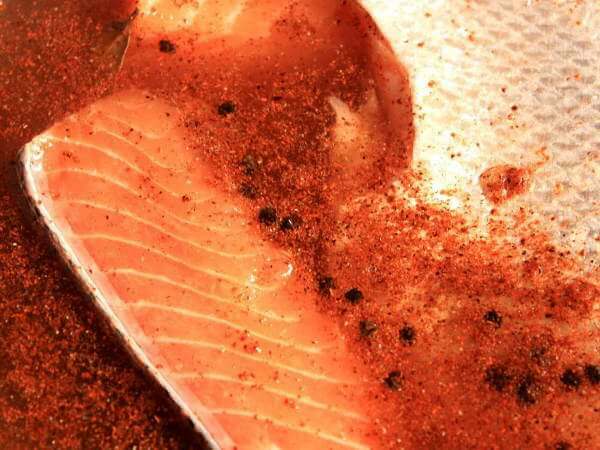 Without letting your fish dry long enough the smoke will not adhere. You'll only have cooked fish with a slight smoked flavor. I remove my fish from the brine, rinse and pat dry with paper towel. I typically let my fish dry for 6 hours. I have heard of people laying their fish out and turning a fan onto it to speed up the process. I smoke the fish for 8-10 hours, this is for larger pieces of salmon, 1-1/2" thick and 4" diameter. I have been smoking fish as a hobby for over 35 years. Your brine, what ever it is, is going to be delicious unless you stray too far from the norm. If you're not sure, do what most others are doing. Brown sugar and rock salt are my only ingredients. Brining is a means of preserving, as is smoking. In the old days refrigeration was a problem. Today we smoke for a different reason. The length of time to brine changes with the kind of smoking you wish to do. To hot smoke, cover it in salt, wait 1 hour and rinse in cold water. Let dry 2 hours and cook it in your little chief at 180 degrees for 8-12 hours. It'll taste like smoke, and you'll like it. Those were the days! I'm making candy today. 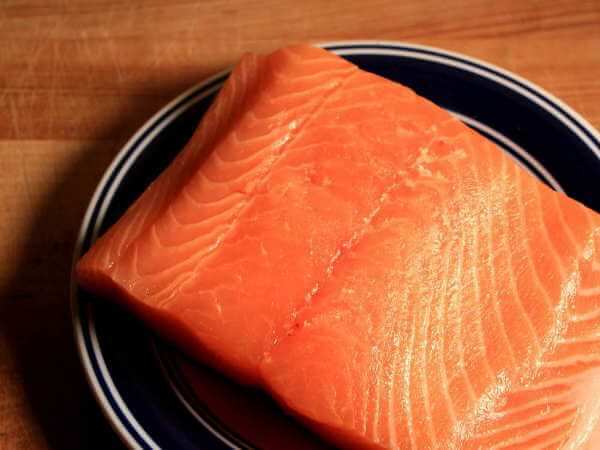 Cut salmon into 1/2" strips across the backbone (bone removed). In a 5 gallon bucket, sprinkle bottom in rock salt. cover in brown sugar, layer of fish and so on til you run out of fish. Put the lid on the bucket and roll it over and over every 12 hours or so for 4 days. Basic cold smoke method. Whole fillets in a cooler, add a layer of fish, sprinkle salt, cover in brown sugar, repeat until you run out of fish. Leave over nite or til you get home the next day. Rinse in cold water, wipe clean, place on smoker racks in smoker and turn on the fan only for 3 hours. Smoke as long as you like, more or less is to taste. The important thing to remember is not to let the temperature rise above 90 degrees. It's curing (removing the moisture) not cooking that's important. Store in your freezer. Slice as thin as you can, while it's still partially frozen, before serving. What I have found is temperature is key in this. If you can control your temperatures your finished product will be much better. If you smoke it, it will taste like smoke. By controlling the temperature while smoking, the finished product will look much better. You'll be able to make different kinds of smoked fish. One thing took me years to figure out. If I keep the temperature under 140, the fat won't ooze out of the grain of the flesh, like a grilled cheese gone wrong. Simple Smoked Salmon Question - How Long To Brine? Smoking salmon 3-4 days or longer is going to render the salmon dry and hard. That's good if you plan to keep it over the winter in your mountain cabin. I agree to add the proper amount of sea or kosher salt to 4 qts of cold water to float a raw egg , in the shell of course. I add a cup of brown sugar,a cup of white sugar, garlic-- lots -- 5-6 tbsp. dash of onion powder. Now we need a dash of tabasco (red), 1/2 teaspoon allspice. I brine 12-18 hrs. in the refer. Covering the fish with a dinner plate to hold under the brine. Or use a small weight to make sure it stays under the brine. Remove fish and rinse in cold water. Let dry until a glaze forms. Coat with honey, coat with brown sugar. I will grind a bit of black pepper over the honey to add a little zip. I use a Traeger bbq set on smoke. I smoke w/alder/ or/apple until the fish is a bit soft not mushy to the touch 5-7 hours. You must use fresh caught salmon for the best results. 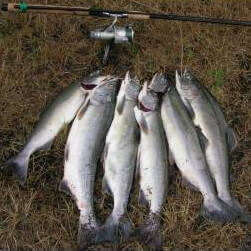 mine are fish caught in Alaska, flash frozen the day caught. You can try other brine spices to taste, but be careful not to mask the delicate flavor of the fish. when is the salmon best? Right out of the smoker when it is still warm. There are many Dry and Wet Brines out there. One simple one I use is as follows. Mix all together, cover Salmon and Brine for 24 hrs. Rinse Salmon, and air dry for at least one hour. Add Fish to preheated smoker. Use at least 2 pans of Alder Wood and smoke for a total time of approx. 4 to 6 hours depending on your likeness. Place in plastic container overnight and enjoy the next day. Ok ...The original poster said he's using "a basic brine" and wanted to know how long to brine the fish. He did NOT say what the brine concentration was, e.g. 1/2 cup each of salt and sugar per quart ...or what? One answer said how long he smokes it (hour to days?) and didn't answer the how long to brine question. The other people gave answers on how long to brine ...but didn't relate it to any particular brine recipe. How long to brine depends not only on the thickness of the fish pieces, but also on the brine concentration. A saltier brine requires less time than a sweeter recipe. (salt removes water, sugar makes the meat hold water). So ...the original question is incomplete and so are all the answers. I give this page a 2-star rating ...only for effort. It's a 1-star, at best, for content. Still waiting on a good answer... I also do not know the answers but am looking. Here is my take. I live in the Northwest and have fished the rivers and ocean bays for 40 plus years. I smoke my salmon for 2 to 3 days. The longer the better. I have smoked it for a few hours, over night, a day, or several days. The bottom line, like a marinade, the longer the better. If you have the right brine 1/2 salt 1/2 brown sugar per 1 qt of water for a base it wont be too salty or sweet. Just more flavorful. You can, of course, enhance this base with whatever your taste buds choose, but this always works for me. I have been told it is the best smoked salmon people have ever tasted. From the booklet that came with my Big Chief electric smoker , the times vary depending on thickness. "Brine chunks 1" thick, 8 to 12 hours or overnight. Brine fillets to 1/2" thick about 4 hours and small whole fish or very thin pieces about 2 to 4 hours." I've always done overnight and used a more elaborate brine with soy sauce and white wine. Always comes out awesome. Rinse well and let it sit out on the counter for at least an hour. You'll notice a glossy, sticky pellicle on the outside of the fish. It's necessary for the smoking to cook the fish right. It locks in the moisture to the appropriate amount, but not positive on that. 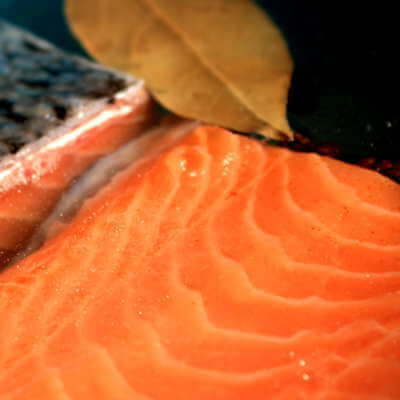 Learn how salt and sugar interact with salmon in a basic brine solution. Cold smoked salmon is delicious, but a time intensive process. 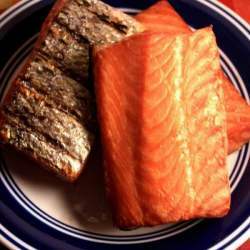 Tips on choosing fresh, good quality salmon for the smoker. Making smoked salmon using the hot-smoking method.